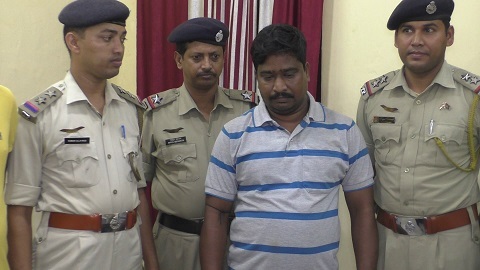 In continuation of the State Government’s anti-drug drive to make Tripura drugs and corruption-free state, the officer-in-charge of the West Agartala police station, Subrata Chakraborty along with his team on the basis of specific information raided a house in bordering Rajnagar area and arrested a suspected drug mafia Amal Das. This was informed by Sub Divisional Police Officer (SDPO) Suman Majumder. During the search of the house of the arrested person, police recovered huge quantity Yaba tablets, heroin, Rs 418 lakh in cash and quite a few mobile sets used for running the gang. The arrested person will be produced in the court with a plea for police remand for interrogation to get inputs in order to unearth the gang behind it, said the SDPO. 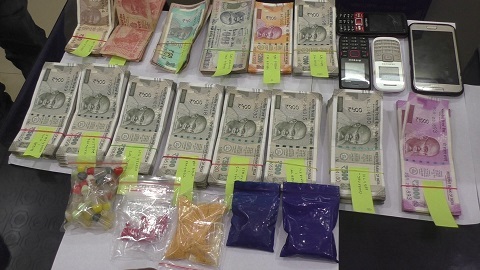 During the last few days, Tripura Police have arrested more than 70 people in connection to drugs trade beside recovery of huge amount of ganja, heroin, brown sugar, contraband and cough syrup bottles.